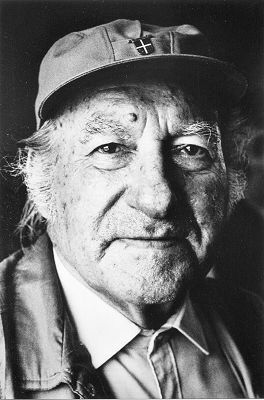 Wiktor Górka, 30.11.1922 - 13.02.2004, born and died in Bielsko-Biala (Poland). In 1952 Wiktor Górka graduated with honors from the graphic design department of Academy of Fine Arts in Cracow under professor Jerzy Karolak. His studies included also painting, which he was taught among other by Jerzy Nowosielski and Tadeusz Kantor. 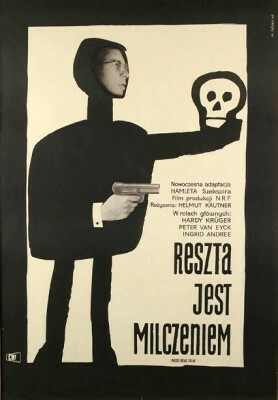 He settled in Warsaw and began cooperation with Art&Graphics Publishing House and Film Leasing Center, later with other publishers and theaters in Warsaw, designing posters, covers of magazines and books, labels, logos etc. For many years he was an active member of Polish Artists Association. He was also a member of many artistic committees, including WAG, CWF and Fine Arts Studio Commission for Packaging, as well as a judge of poster competitions, for the last time in 2001 in jury of the 17th Biennale of Polish Posters in Katowice. In 1970 he traveled to Havana (Cuba) with a group of Polish graphic designers to conduct training on graphic design development, ended with a joint exhibition. The next stage of his journey was the capital of Mexico, where he came on the invitation of San Carlos University (U NAM). This was the beginning of long cooperation with art schools in Mexico City, Xalapa and Puebla, which lasted until the early 1990's, being later extended to 1998 with workshops and lectures during Meetings of Graphic Design School Professors (organized to accompany successive editions of International Poster Biennial in Mexico). Apart from educational activities, Wiktor Górka prepared in Mexico a series of posters supporting the electrification of the country, posters and covers for Colibri Publishing House and Plural monthly, posters for his own exhibitions and exhibitions of his students. Highly valued in Mexico, he held there about 20 individual exhibitions (the biggest ones accompanied Mexican Biennials in 1992 and 1998), was written about in daily and specialist press and received the prestigious Jose Guadalupe Posada Prize in 2000 - for outstanding input to the development of graphic design art. He also had exhibitions in Vienna (1962), Warsaw (1964, 1972); Zilina (Czechoslovakia) (1964); Sofia (1963, 1965, 1987); Berlin (1969); Havana (1970). "Wiadomosci Filmowe" 1958/No. 9 (02.03); Gebrauchsgraphik 1959/No. 10; Polska 1965/No. 1; Projekt 1967/No. 2; Projekt 1968/No. 2,3,4; Graphis Annual 1968/69; Modern Publicity 1968/69; Neue Werbung 1969/No. 4; Graphis Annual 1969/70; "El Dia"/7.12.1969 (Mexico); "El Dia"/26.03.1970 (Mexico); "Revista de America No. 1275/30.05.1970 (Mexico); "El Dia"/29.05.1970 (Mexico); "Excelsior"/24.08.1970 (Mexico); "Magazyn Filmowy" 1972/No. 44 (29.10); Projekt 1973/No. 6; "Diario Xalapa"/27.11.1978 (Mexico); "Kino" 1981/No. 3; "El Sol de Sinaloa"/9.02.1983 (Mexico); "Revista De Disegno" 1996/No. 6 (Mexico). The artist's favorite painting and graphic techniques were classical, but at the turn of 1950's and 1960's he also experimented, with good results, with photomontage (The rest Is silence, 1960). In Górka's posters graphic and text always characterized the poster's subject and message. They called upon its epoch, cultural environment and specifics. The artist maintained strict rigorous composition, creating unbreakable bonds between the text and the layout. With such disciplined foundations he created light, often humorous forms, sophisticated, bright colored, atmospheric. He could be called "capturer of atmosphere". Even unattractive from the creative point of view, posters for work safety and hygiene he managed to make "capturing" (I made greasy, 1957; Make tight, 1957). Most of his works strive for excellence, where words, line and shape are on equal rights, with clear structure of internal architecture (Silent Don, 1958; Without travel schedule, 1959; Tamango, 1959; Burn Polish Coal, 1970; Copernicus, 1973). 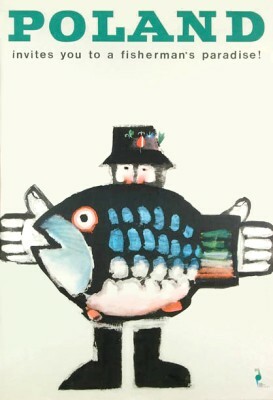 The most successful was his poster advertising Poland, called Poland - Paradise for fishermen from 1967, which received many international awards. Also famous are his posters advertising Polish LOT Airlines - with Mr Twardowski (a legendary polish hero) flying on a rooster, and excellent circus posters. 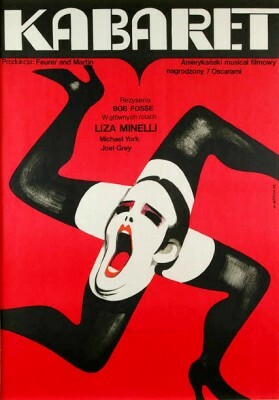 There is one more poster, unappreciated by judges of artistic competitions, which until today is shown on various exhibitions, where it creates great interest: a poster for Cabaret, a film by Bob Fosse from 1973. Joel Grey, one of the film's leading actors, had it in his room, calling it "beautiful, unusual, much better than any other poster for this film he had ever seen…". Anna Zabrzeska-Pilipajc, text translated by Magdalena Zalewska. Anna Zabrzeska-Pilipajc curated the last big retrospective exhibition on Wiktor Górka in Warsaw, 2001, under the title "What a biiig fish". The text above is a short version of the biography in the catalogue, prepared especially for the Poster Page. Melk Imboden is a poster designer and photographer from Switzerland, and an admirer and collector of Górka's poster art.